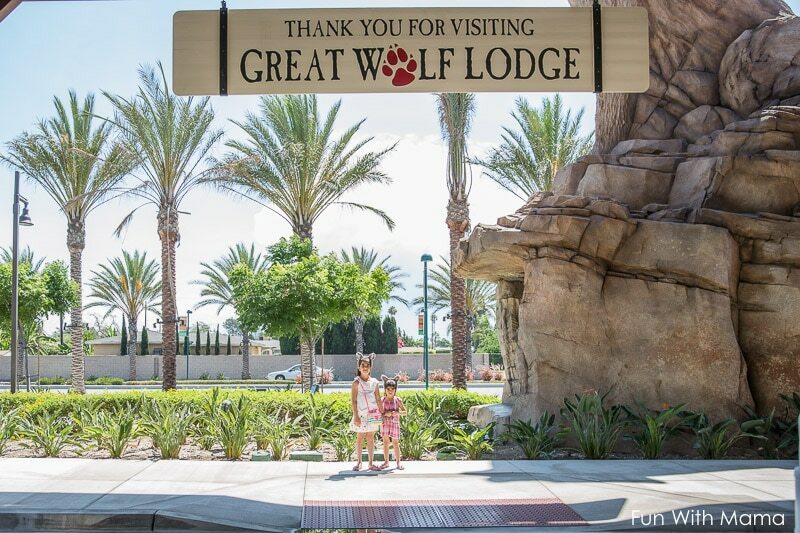 We just came back from a fabulous one night stay at the Great Wolf Lodge in Anaheim, an indoor water park in Southern California. 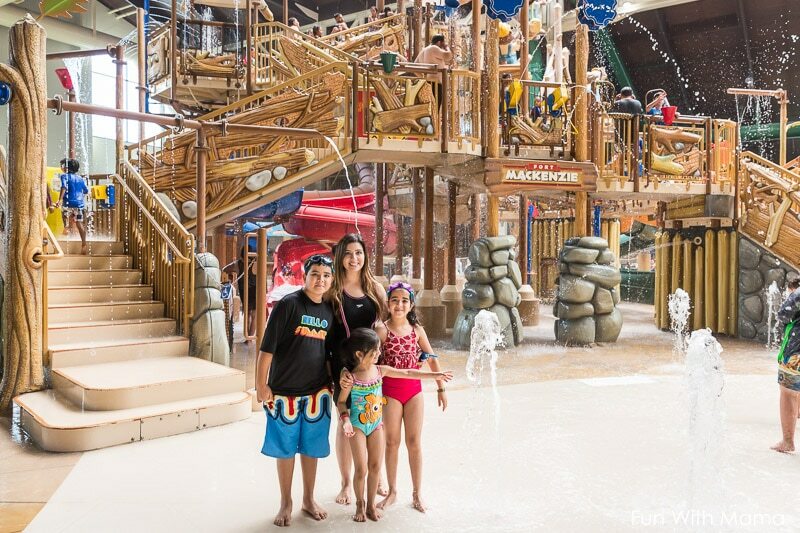 I love that the Great Wolf Lodge was perfect for family bonding and time to just spend laughing, screaming and exploring with each other. 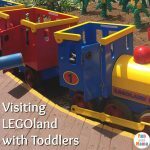 For my 4 year old, it all felt like a great big adventure! 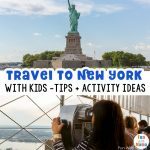 I will be sharing our experience with you as well as including some tips, things you should know and camera recommendations to capture the most out of your family vacation. Please note: We received a stay at the Great Wolf Lodge for free in exchange of me sharing my thoughts on my experience on the blog. 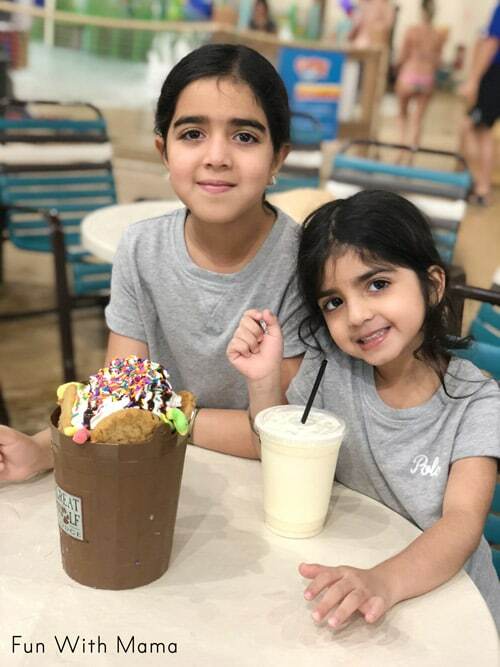 We love our family vacations because they provide a great time for us to relax, unwind and spend special moments with our children being adventurers. 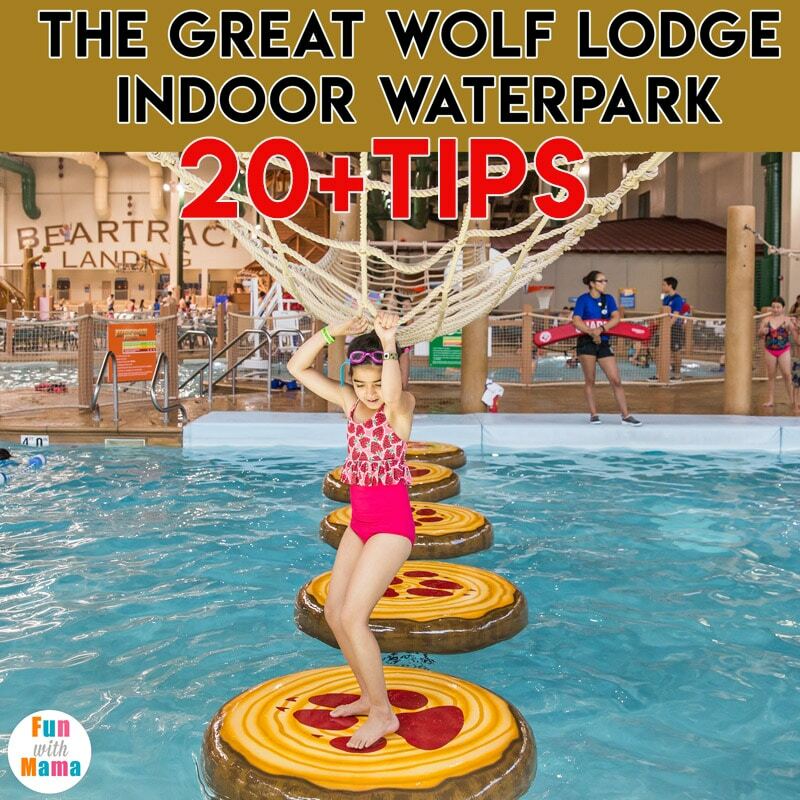 The Great Wolf Lodge is an indoor waterpark. You can find many locations throughout the USA. 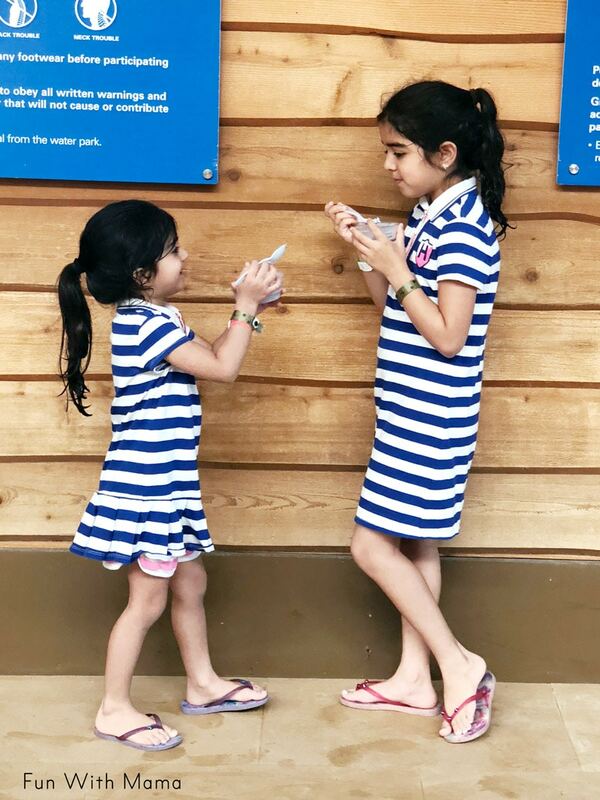 We spent one night and two days at the Great Wolf Lodge and I have to say.. it was SO much of fun. 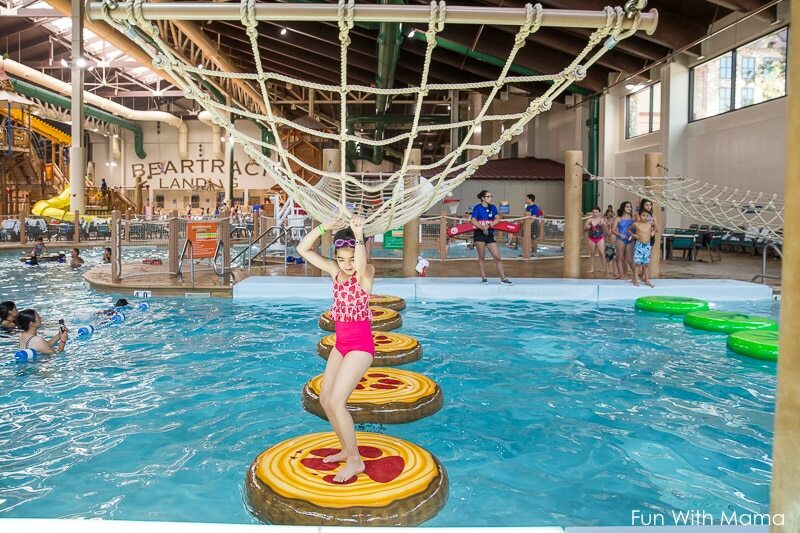 If you live in Southern California and want to get a mini family vacation the Great Wolf Lodge is a great choice. You don’t need to take a flight to get there and it still has the full on vacation experience. 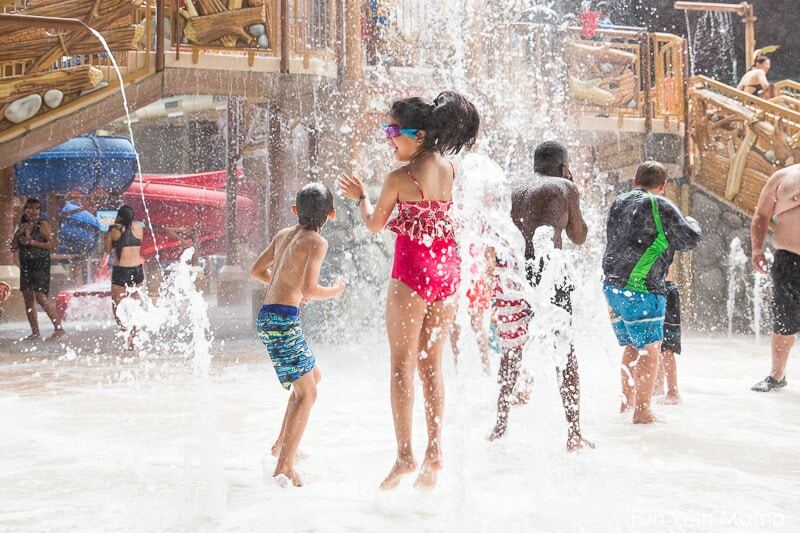 One of the things I liked most about the whole indoor waterpark concept at the Great Wolf Lodge is that the waterpark is strictly for hotel guests (and their friends.) This means that the lines were never too long and it didn’t feel overcrowded. Especially considering that we went in August, which is their peak season. 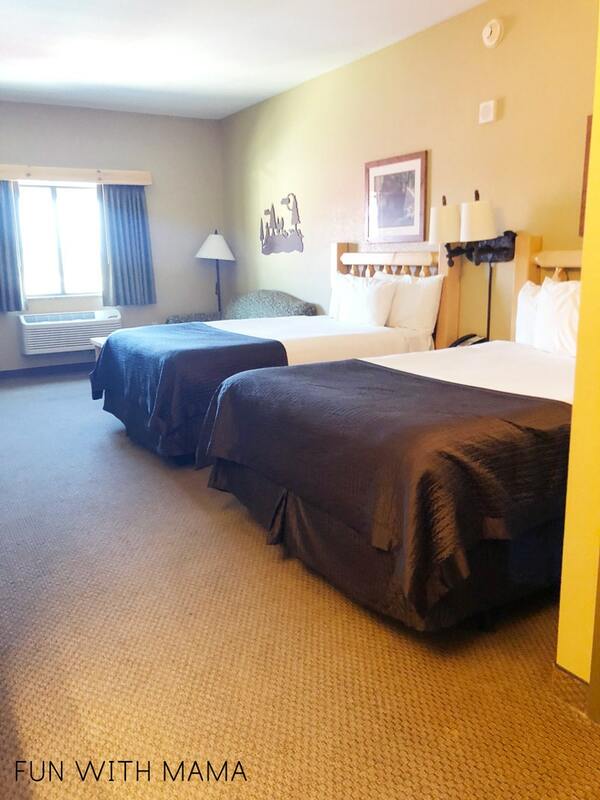 Included with your stay is entrance into their indoor waterpark and parking for one car. They have a valet service if you would prefer to use that. Check out our YouTube video below that includes more about our stay and to see the slides in action. Before we went to the waterpark area we stopped by for a quick bite of some pizza at the Hungry As A Wolf Restaurant. Then we went into the waterpark area. 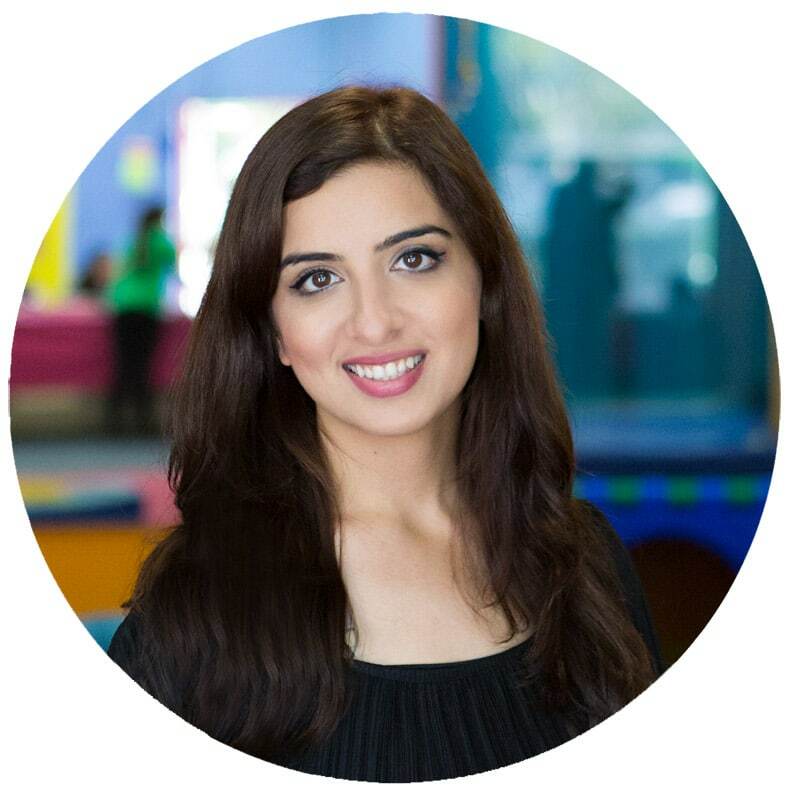 One of my biggest worries was that my 4 year old would be too short to ride on most of the slides. She is my biggest thrill seeker. For the bigger slides there was a 42 inch minimum height. The ages of my children are: 4 1/2, 9 and 11. Because my 4 year old couldn’t do the bigger rides, my husband and I had to separate some of the activities and the older kids got to do the slides at least twice. Once with him and once with me. One of us stayed with my 4 year old. She REALLY loved the kiddies splash pool area called Cub Paw Pool and Whooping Hollow. The slides were perfect there for her. She loved using our GoPro Hero 6 to video the rides! The main splash zone area is called Fort Mackenzie and it is really pretty! There is a lot of space to play and a lot of water features. You will be randomly splashed in the face with water and you will giggle like you can’t believe. There are 4 water slides in Fort Mackenzie. 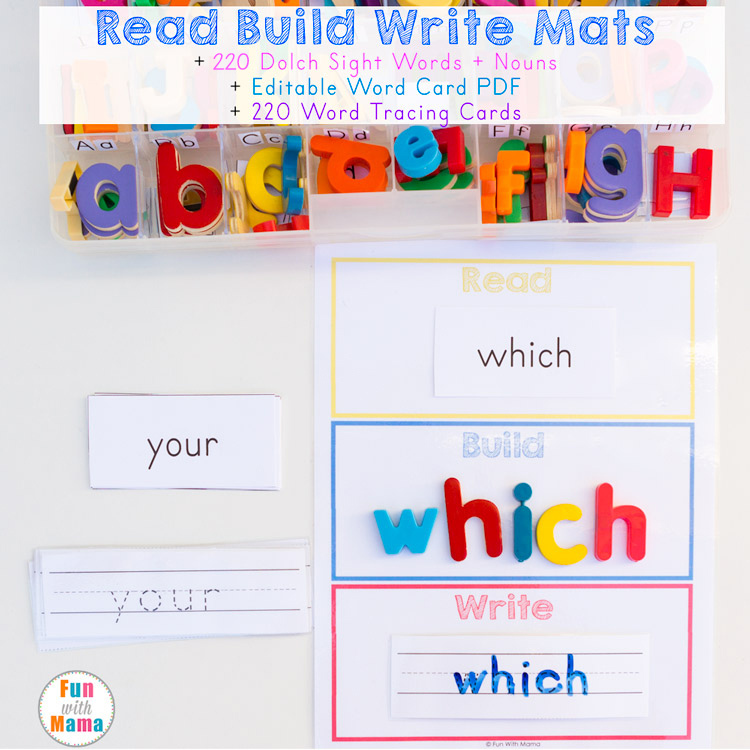 Two of them are great for young 4 year olds. (There is a height maximum on these slides so my 9 and 11 year old couldn’t go on them.) My 4 year old took a video for you guys while she was riding these slides. You can check that out on my Great Wolf Lodge Video above. There are 2 bigger waterslides in Fort Mackenzie, which I thought my thrill seeking 4 year old would love. 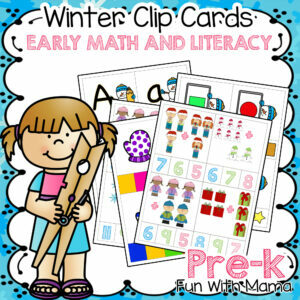 She did both the slides once and then opted not to do it again. She said she liked it, but it was a bit scary so she would rather not do it again. I was really happy that there was a thrill seeker type of ride for her though and am excited to go with her again and tackle these two slides with her. We spent about 5 hours in the park that first day. We ate then headed back to the room to wash everyones hair and shower. The next morning we went for the Loose Moose character breakfast. It was around $19.99 for adults and $12.99 for children. I definitely thought it was worth it. There were pancakes, omelets, bagels, assorted fruits, waffles, pancakes and more. It was a really wonderful breakfast presentation and the food tasted great too. We headed back into the waterpark and it was another day of fun. This time the kids had Dippin Dots as a snack and some Duncan Donuts before we left. 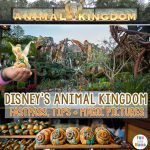 You can find my Great Wolf Lodge Tips and things to know below. Use the trolley to bring your bags from the car. (I didn’t realize that there were trolley’s and this would have saved me an extra trip back to the car with three kiddos.) The trolley’s are located near the elevator. Bring two swimming costumes just in case it takes longer to dry. If you have girls, bring travel shampoo and conditioner. The room includes a body lotion and shampoo/conditioner in one. I prefer to use a shampoo separately from my conditioner. 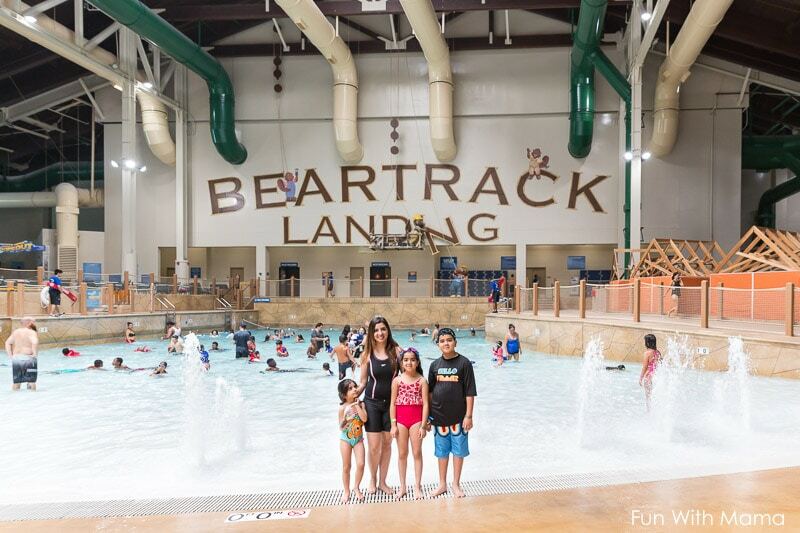 Before you go to Great Wolf Lodge I would suggest you check out the different packages that are available including the Wolf Pass, Paw Pass and Pup Pass. Check out the packages available here. 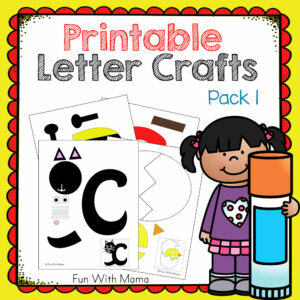 I didn’t opt to purchase any of the packages when we got there and I regretted it afterwards. 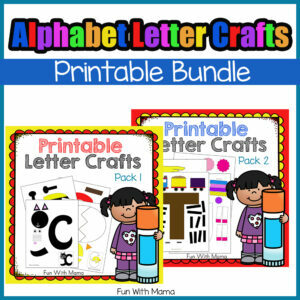 The above passes include a variety of different activities that range from bowling, a Magiquest game, a creation station bear, candy cups, ice cream and MORE. I saw many children roaming the halls of the hotel with their wands and it looked like a lot of fun! I would choose the Paw Pass. Buy the pass when you check in. I think they are discounted at reception. Bring popcorn. There is a microwave in the room and popcorn is a great snack. If you forget to buy popcorn, they sell it at the vending machine. You can bring other snacks. Use the refrigerator if you would like to bring milk for your baby, yogurts, etc. The vending machine has a lot of great snacks. If you are a pizza lover, like I am… then downstairs there is a restaurant called Hungry As A Wolf. Their pizza is good. Like dining with characters? 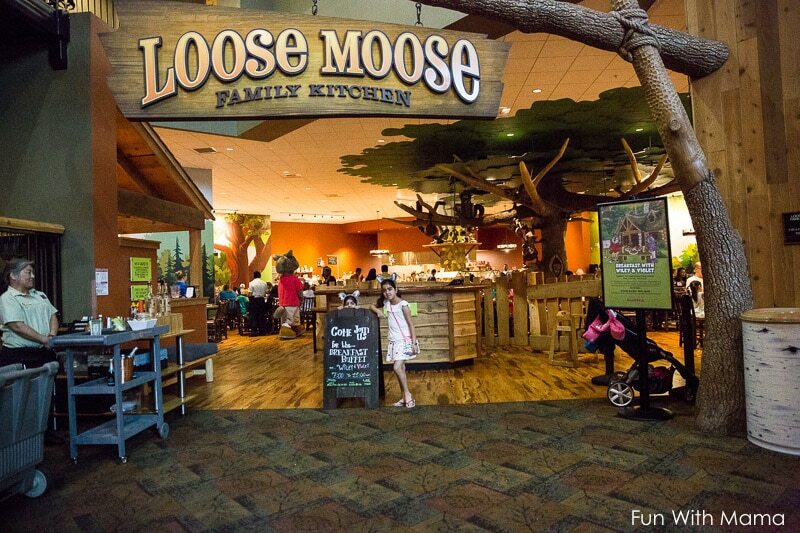 Then check out the Loose Moose character breakfast. You could upgrade your room to a kid cabin when you are checking in (if there is availability.) This gives you a kiddy themed room with bunk beds and looked nice. I didn’t opt to upgrade and we didn’t end up spending that much time in the room anyway. The above room pictured is the family room we stayed in. There are a lot of free activities including story time, bingo, coloring time so make sure to check out the schedule for the day. There are life jackets available in multiple areas in the park. I brought my puddle jumper with me for just in case but she never needed it. 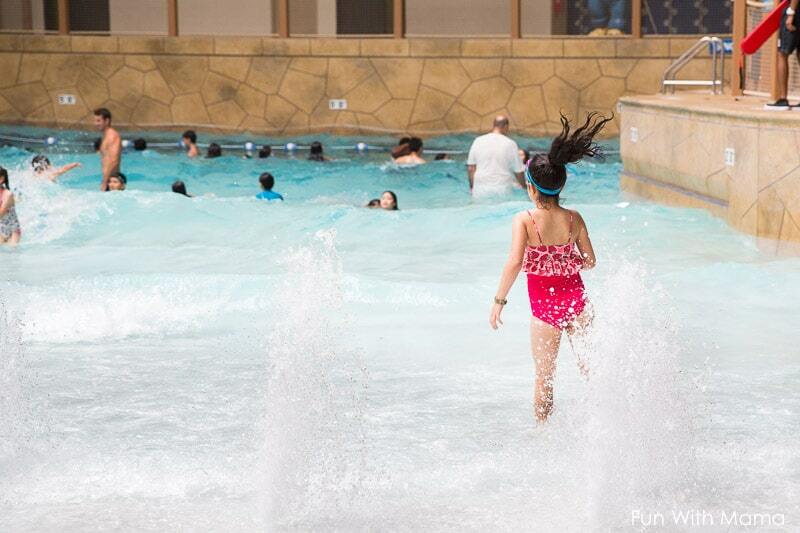 If you have a little one, the wave pool is really nice but make sure to use a life jacket for them even if they are decent swimmers. It’s that extra piece of mind because the waves can really knock you down. My 4 year old (as well as the older kids) LOVED the wave pool. Buckets has delicious snacks. There is a bucket of ice cream with sour gummies and sour worms. They also have drinks. I ordered a virgin pina colada and it was nice. They also have fries and lots of other food there. The bath in the room is actually REALLY comfy. I thought it looked small at first sight but after actually using it, it’s perfect. It has the perfect slope for your back and is truly a great way to unwind from the busy day at the waterpark. 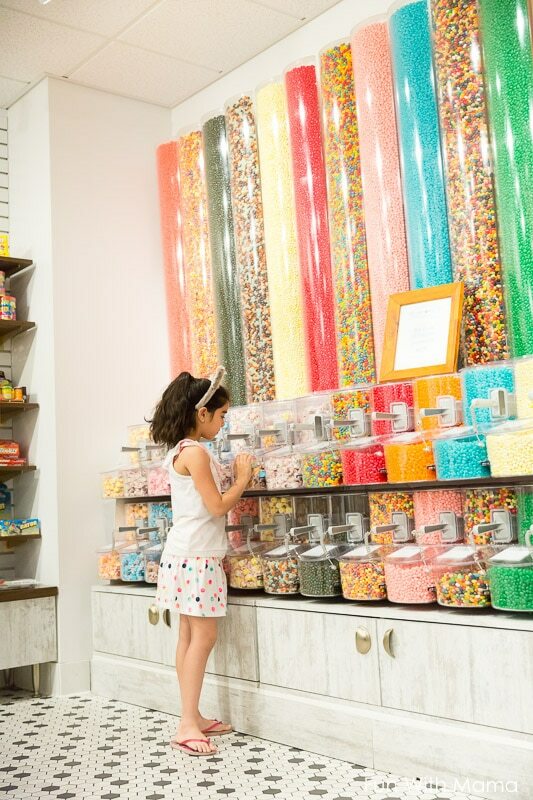 The candy store is a must. 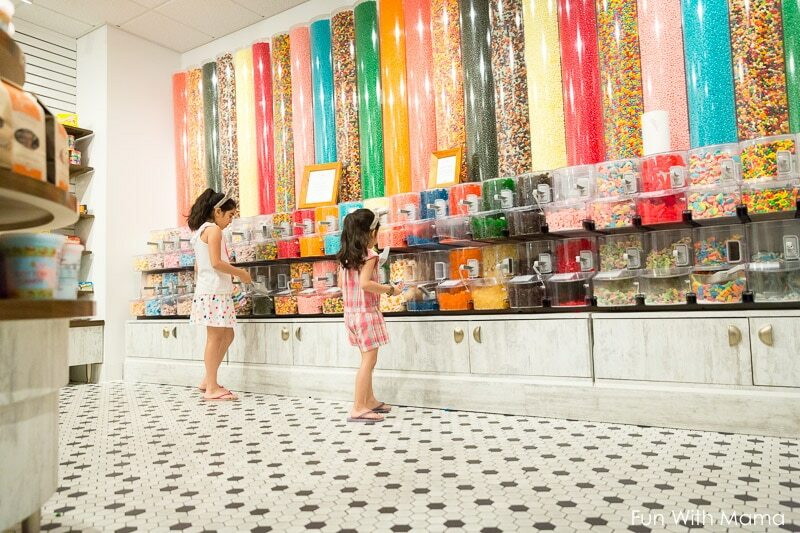 Not only is the candy yummy but you can get such beautiful pictures there too. 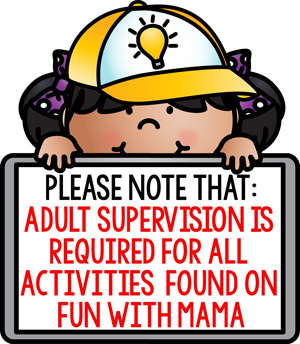 Make sure you walk around the full waterpark. There are literally activities EVERYWHERE and trust me, you don’t want to miss even one of them. 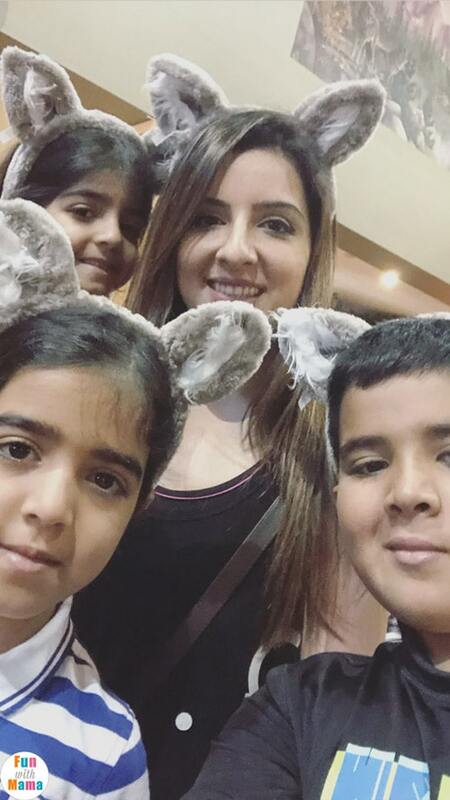 It was such a fun stay with the best of family moments. 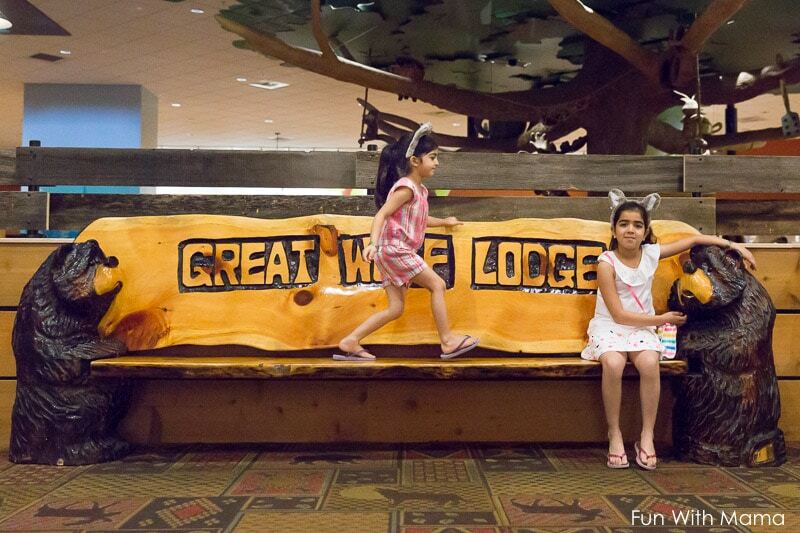 We can’t wait to visit the Great Wolf Lodge again! Details of the camera’s I used to capture this holiday for my family. For all water shots, underwater video and most of the waterpark video I used my GoPro Hero 6. 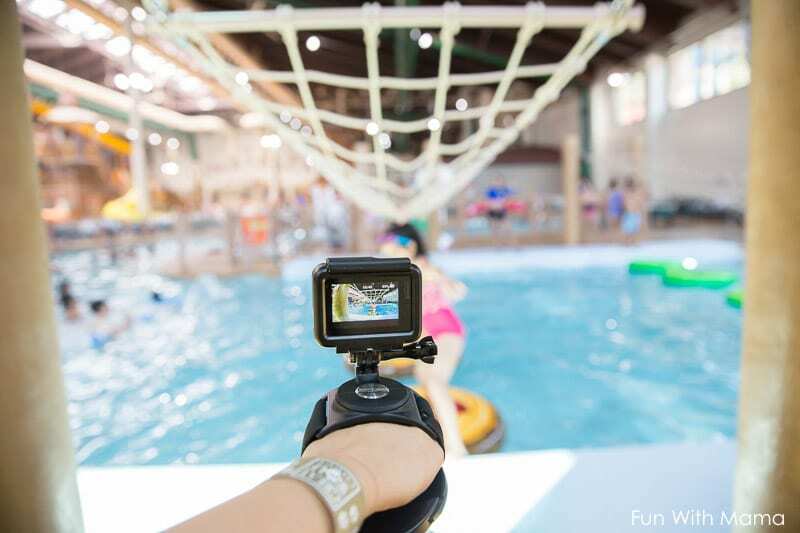 If I am going ANYWHERE with water… I take my GoPro with me. Not only do I use it but my children do too. This is a highlight of our water holidays. My must have accessories are: The wrist strap, the handler floating grip and the double charger. I used the GoPro wrist strap for all the slides. The handler floats so when you use it in water your camera wont sink. This is also great for quick switches from person to person. The double charger is my latest accessory and now I can’t be without it. The battery life on the GoPro isn’t that great… so it’s always nice to have a second battery ready to go just in case. Each battery lasted me one day at the parks. For organization and bag accessories: I use the small fusion case to protect my GoPro in the water bag. I also have the Casey case, which I use for longer holidays and use it to store ALL my accessories. We used the GoPro a lot during our Disney trip too. 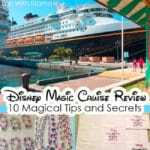 Especially on our Disney Dream Cruise and in the Disney island of Castaway Cay. My video camera and all videos taken out of the water area was taken with my Canon G7x II. I love this camera! Especially for the flip screen selfie feature. I haven’t mastered how to take good pictures with it that aren’t blurry though and therefore only use it for video. Some images were taken with my iPhone X like the image below, but you can see a big difference from those taken on my DSLR. My daughters mermaid swimsuit was purchased at Justice. They have the cutest mermaid themed everything! Her strawberry one as seen in most of the pictures was purchased at Kortnijeane. 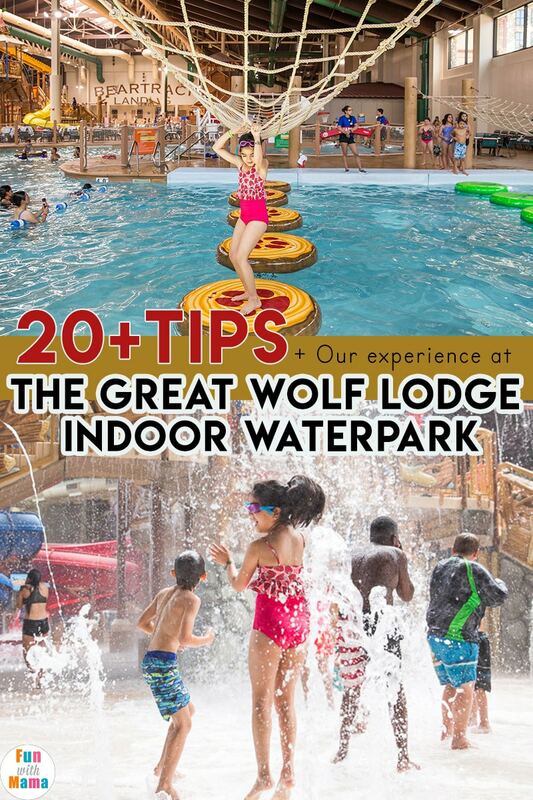 Have you been to The Great Wolf Lodge? What did you think of it? 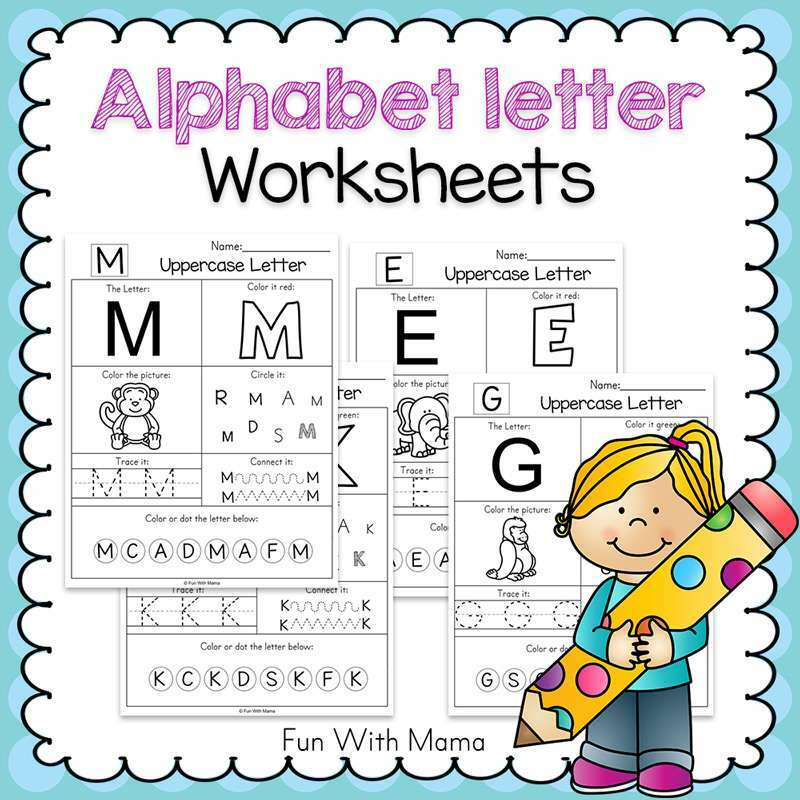 Do you have any fun tips to add to my list?